In the 1840s, land west of the Missouri River was a new frontier for courage, adventure, freedom and true grit. During this era and the decades that followed, Utah became the focal point for many brave settlers yearning for a new way of life. While Utah's proud Mormon legacy is well documented, there are lesser-known stories that contribute to the state's fascinating history. Join public historian, author and history columnist Eileen Hallet Stone for a look into the state's forgotten past as she presents a revelatory collection of tales culled from her popular "Salt Lake Tribune" "Living History" column. From newly freed slaves, early suffragists, desert farmers and union men to railroad kings, cattle barons, influential statesmen and more, this is "Hidden History of Utah." From Jedediah Smith's final moments to persistent rumors of bigfoot, from the rise of an unlikely uranium magnate to the mysterious end of Butch Cassidy, this selection of twelve stories from Utah's past explores some of the Beehive State's most compelling mysteries and debunks some of its most famous myths. Like a beautiful palette for a mighty hand, Utah is a state defined by its colors. The coppery sandstone arches of the Capitol Reef, the ivory plains of the Great Salt Lake Desert, the cool green sanctuaries of Zion National Park. Immerse yourself in the intense hues of Utah’s monumental rock formations covered in the purples and yellows of desert wildflowers and set against a deep blue Midwestern sky. Encounter the dramatic highlights of Utah’s endless desert, canyons, mesas, and buttes. From salty plains to snowy slopes, this photo journey takes you to Utah’s most astonishing sites. This is the most comprehensive volume available on Utah's unique and varied history. From the earliest desert cultures to Utah society in the 1980s, this collection considers social, economic, political, and cultural aspects, some controversial, of the state's history. 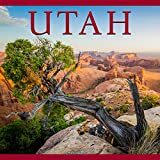 Utah Curiosities brings to the reader with humor and affection—and a healthy dose of attitude—the oddest, quirkiest, and most outlandish places, personalities, events, and phenomena found within the state’s borders and in the chronicles of its history. A fun, accessible read, Utah Curiosities is a who's who of unusual and unsung heroes. This compendium of the state’s quirks and characters will amuse Utah’s residents and visitors alike. Book by Hintze, Lehi F.
Women In Utah History: Paradigm Or Paradox? A project of the Utah Women’s History Association and cosponsored by the Utah State Historical Society, Paradigm or Paradox provides the first thorough survey of the complicated history of all Utah women. Some of the finest historians studying Utah examine the spectrum of significant social and cultural topics in the state’s history that particularly have involved or affected women. Bancroft's enormous history covers Utah from its Native American days to the first European expeditions into the region and all the way up to Utah's status in the late 19th century as a haven for Mormons.